Overview: Chess King Learn (https://learn.chessking.com/) is a unique collection of chess education courses. It includes courses in tactics, strategy, openings, middlegame, and endgame, split by levels from beginners to experienced players, and even professional players. Important notice! You do not have to buy the courses again! You can transfer all your purchases and statistics from single apps by linking them to a Chess King account. 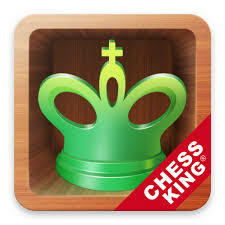 Now you can use all Chess King courses within one app!